If the weekend taught us anything, it’s that the 2019 QLD Premier Rugby season is going to be nigh on impossible to predict. 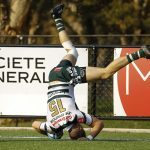 After impressing in week one, Souths and UQ fell to Brothers and Bond respectively and Easts spoiled Jeeps start to their title defence on a wet afternoon in Queensland. 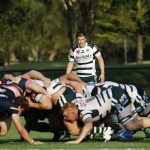 GPS sent a warning to their Premier Rugby counterparts with an impressive win over Sydney Uni in the Australian Club Championship final but after a bye in round one,fell just short against Easts in a nail biter at Bottomley Park. Jeeps flanker Matt Giquel bagged a first half double to give his side a 12-7 lead, then caused a crucial turnover late in the half that led to a Esera Tapelli try. 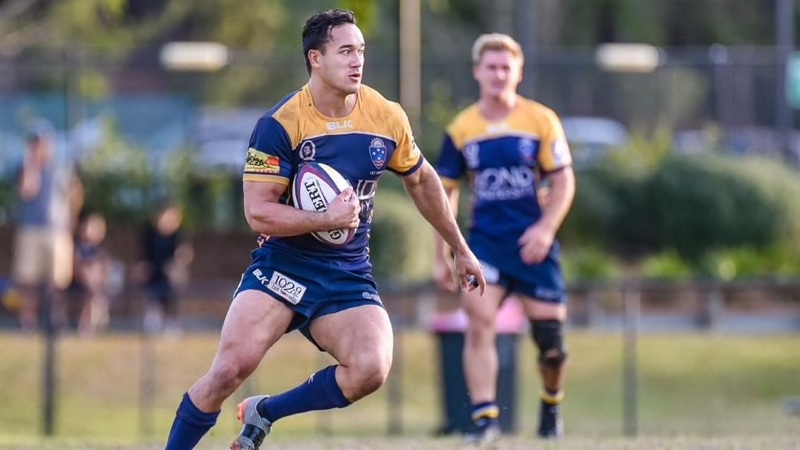 But as they did against UQ a week earlier, Easts found a way to stay in the fight and instead of falling away at the 60 minute mark, as they did in round one, the Tigers fought back and scored in the 65th minute to reduce the deficit to two points. Eli Pilz then knocked over a long range penalty goal in the closing stages to hand the Tigers a morale boosting one point win. “They managed the conditions better and they showed a real hunger to win towards the end when the game was in the balance. They made less errors and capitalised on our poor discipline and they also scored points when they were in our 22. Elsewhere, Bond outmuscled UQ in the first half on a wet afternoon on the Gold Coast to claim their first win of the season. “It was a really good team performance. We started the game well and continued to work hard throughout the match,” Bond coach Brad Harris told Rugby News. Coming off a narrow loss to Brothers in round one, Bond raced away to a 17-0 lead midway through the first half following tries to Paula Kaho and Corbin Kiernan. UQ responded soon after through Sam Wallis, but last year’s grand finalists couldn’t match the ferocious Bond attack, who crossed for the next three tries to put the result beyond doubt. Despite the five try effort, Harris said he was most impressed with his side’s efforts without the ball. He singled out Corbin Kiernan, who bagged a double and Zach Moi Moi as his side’s best. The Gold Coast side now turns its attention to a clash against GPS at Yoku Rd in round three. “To be fair, we were pretty happy with how we played against Brothers in round one, so we really just wanted to build on that performance, which we did. At Sylvan Rd, Wests scored 21 unanswered second half points to claim a second straight bonus point win in highly rated flyhalf Carter Gordon’s starting Premier Rugby debut. The two sides traded blows in the first half and went to the break locked up at 14 all, before Wests, led nicely by the 18-year old playmaker, took control and dominated territory in the second stanza. Scrumhalf Liam Dillon dived over from close range on the back of some brilliant counter attack by Hunter Paisami before the Dogs forwards sealed victory with consecutive tries from a driving maul and a 5 metre scrum. Brothers caused arguably the biggest upset of the weekend, beating an inform Souths outfit. The visitors, led by new halves combination Reuben Wall and Rohan Saifoloi, ran in four tries to one to hand the Magpies their first defeat of 2019. 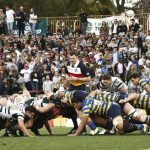 “I think both teams probably would of preferred a dry track, but it was a great opportunity for both packs and halves to battle it out in tough conditions,” Brothers Director of Rugby Ryan Schultz told Rugby News. After a disastrous 2018 in the top grade, Brothers now find themselves at the pointy end of the ladder, with back to back wins to start the season. “Last year was disappointing but we haven’t focused on it at all as a group,” Schultz said. 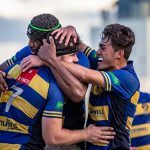 Bond University 32 (C Kiernan 2 tries M Dowd P Kaho N Turner tries H Nucifora pen 2 cons) defeated University of Queensland 14 (S Wallis T Mellor tries J Dalgleish 2 cons). Easts 18 (R van Nek A Leeming tries E Pilz 2 pens con) defeated GPS 17 (M Gicquel 3 tries DP de Lange con). Brothers 28 (G Partridge 2 tries H Wilson B Ralston tries L Creighton 4 cons) defeated Souths 8 (J Simeon try J Strachan pen). Wests 35 (A Vaiomanu L Dillon C Anderson E Maafu tries Penalty try I Henry 4 cons) defeated Sunnybank 14 (T Lucas L Gorman tries H Sergeant 2 cons).